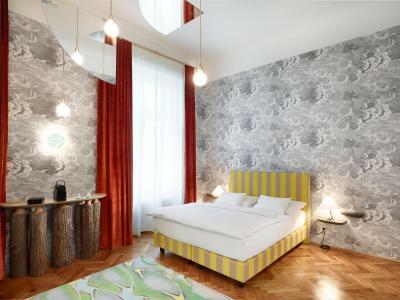 Lock in a great price for Small Luxury Hotel Altstadt Vienna – rated 9.2 by recent guests! I used to live in Vienna's 7th district for more than ten years and every time I go to visit I stay in this hotel. The rooms are very special, each has a different design and character. I have stayed at some better some worse rooms, but they were all special. The breakfast and bar area is also very nice to hang out. The staff is more than helpful, the hotel is very authentic and they make your stay very special every time. I had to stay there during holidays this time but I recommend you to go there another time too to see how peaceful it is. We even forgot that we have booked for one day fewer than we though, and they handled the situation very politely and sent us notifications. I recommend it to anyone who likes to have a real experience of Vienna in heart of liveliest parts of the city and I go back there when ever I visit. The servers were really nice and attentive at breakfast and their honesty bar. They were extremely friendly and were working hard. The location is also good very close to main attractions. However my husband and I did go and look at cheaper hotels that were in a better location. High end interiors, private, breakfast creativity and quality. Great staff, honesty bar, chess board, interesting people. Bed was extremely comfortable. Room was spacious. Bathroom was grand with soaking tub. Lisa’s Salon is the perfect place to end an evening. 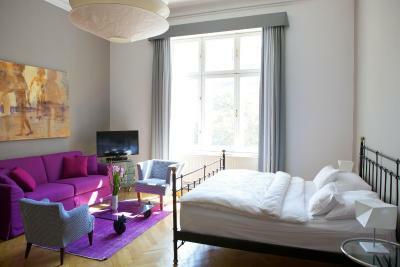 Location is in a quieter area about 15 minutes walking distance from Museumsquartier. Loved the hotel, really funky and different. Our room was perfect for 4 people, it was more like a flat than a hotel room. Great service, really nice food and comfortable surroundings. Very handy for the centre of town. Very friendly stuff. Very clean. Great location a few blocks outside of the crazy tourist area. Amazing breakfast!!!!!!!!!!!! 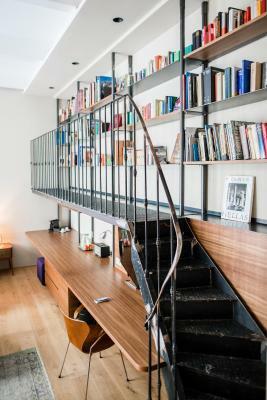 An elegant old building that is furnished in an edgy modern sensibility. Staff is extremely nice and helpful. The breakfast is excellent with eggs and other treats cooked to order. The afternoon tea is a nice touch. The location is excellent - a short walk to the main tourist areas but far enough away to not be congested. 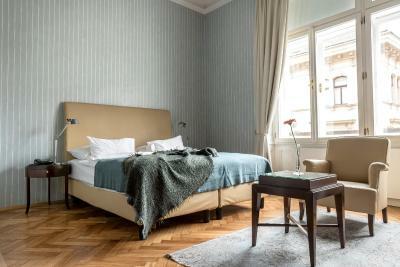 Small Luxury Hotel Altstadt Vienna This rating is a reflection of how the property compares to the industry standard when it comes to price, facilities and services available. It's based on a self-evaluation by the property. Use this rating to help choose your stay! 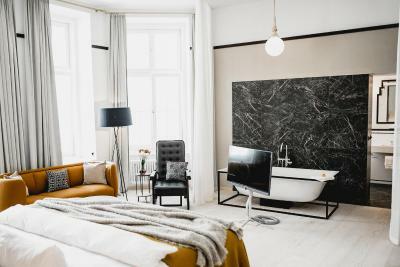 Located in a renovated historic building in the popular Spittelberg quarter, this elegant 4-star boutique hotel is just a 5-minute walk from the Museum Quarter. It offers free WiFi and air-conditioned rooms. 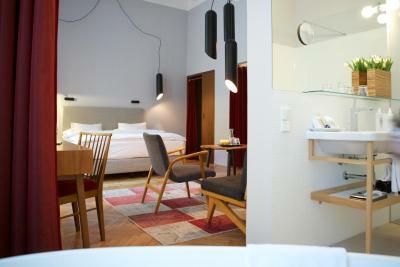 All rooms at the Altstadt Vienna are individually decorated and equipped with classic or modern furniture. 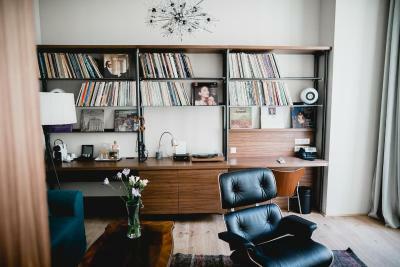 They feature cable TV, parquet floors, and a mini-bar. A varied breakfast buffet is served in the Red Salon. In the afternoon, tea and homemade cake are provided free of charge in front of the open fireplace. In the evening, guests can relax at the bar. 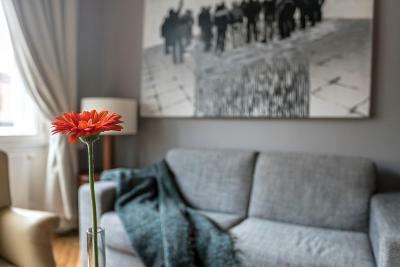 Guests of the Altstadt Vienna can enjoy the owner’s collection of contemporary art. 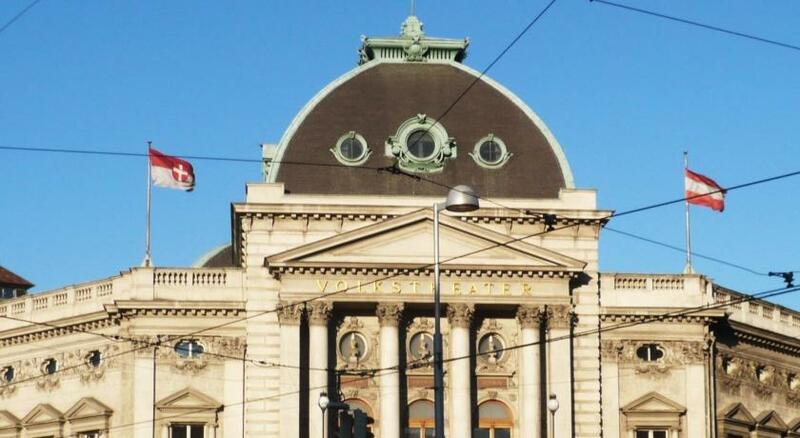 The Volkstheater Underground Station and the Ringstrasse boulevard can be reached in a 5 to 10-minute walk. 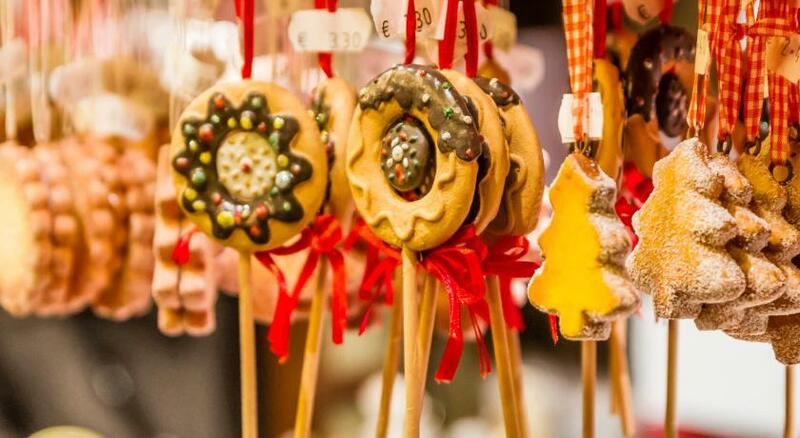 This is our guests' favorite part of Vienna, according to independent reviews. 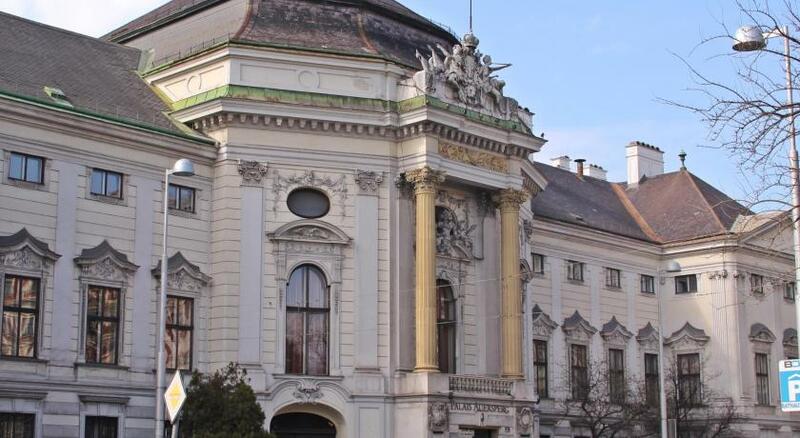 This property is also rated for the best value in Vienna! Guests are getting more for their money when compared to other properties in this city. Good for couples – they rated the facilities 9.1 for two-person stays. 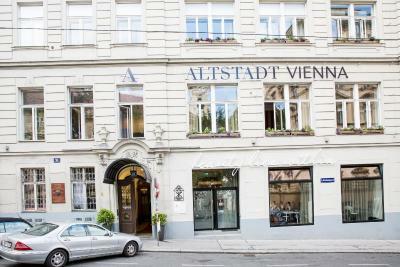 When would you like to stay at Small Luxury Hotel Altstadt Vienna? All rooms were designed to meet individual needs, and none of them is alike. Easy chairs, plump floral sofas, classic and design furniture, high ceilings, honey-colored parquet floors, unusual light objects and contemporary art transform every room into your personal living room. Please note that extra beds are not available in this room type. Private parking is available at a location nearby (reservation is needed) and charges apply. This spacious suite decorated in bright colors features a King-size bed and a seating area. The bathroom is fitted with a bath or a shower. Most of the suites provide city views. These suites are very spacious and individually furnished. The Otto Suite comes with a rooftop terrace, the Bösendorfer Suite with an original grand piano, and the Felix Suite designed by Matteo Thun featuring a free-standing bathtub. Moreover there are two Apartment-Suites, which are equipped with a kitchenette and a separate living room. 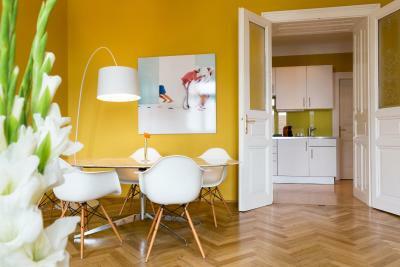 These rooms have been designed by either Matteo Thun, POLKA or Vitra Design. Custom made carpets and design furniture, mainly with open glass bathrooms. This air-conditioned apartment features a living and dining area and separate bedroom. A mini-bar is provided. These air-conditioned suites are between 80 and 361 ft² in size and come with 2 separate bedrooms and a living area. Some feature the vintage design of well-known Austrian fashion designer Lena Hoschek, while others offer direct views of a historic church tower. This suite has a DVD player, sofa and bathrobe. The size of the suite is between 45 and 164 ft². 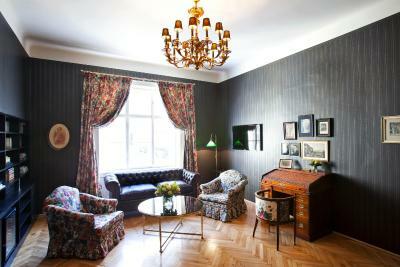 This single room with high ceilings features parquet floors, a cable TV, seating area and air conditioning. All units are designed in variable ways. Built in 1902 as a "city palais", in 1991 turned into a hotel with a special atmosphere. Whether designed by world-famous architects like Matteo Thun or contemporary fashion stars, the rooms and suites are all unique. The art collection is superb. 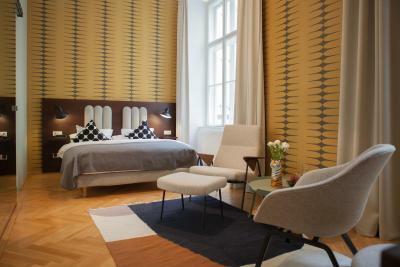 House Rules Small Luxury Hotel Altstadt Vienna takes special requests – add in the next step! Free! One child from 0 to 3 years stays free of charge in a crib. Small Luxury Hotel Altstadt Vienna accepts these cards and reserves the right to temporarily hold an amount prior to arrival. 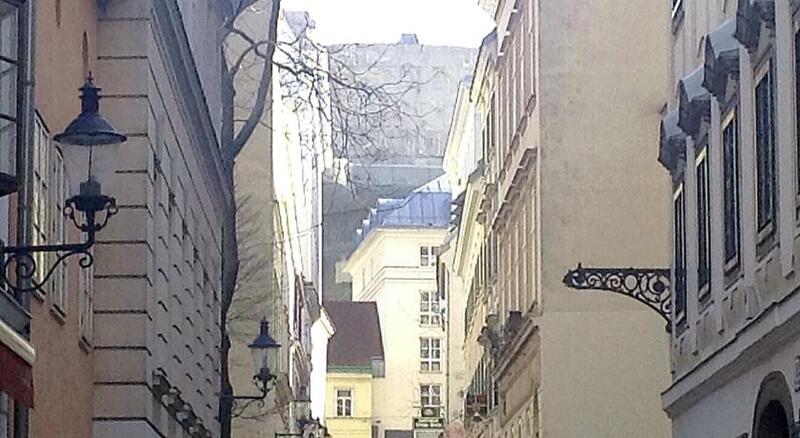 One of the most picturesque neighborhoods in Vienna! The entrance hall and lifts are a bit off putting when you first walk in. The building was amazing. The artwork throughout the hotel was beautiful and the breakfast was fantastic. Freshly cooked food with a huge buffet choice of great ingredients. The room, the decor throughout the hotel and the helpful staff. Checking in on small things in the room like lights that didn’t work or bulbs that were out. . Some hooks for towels and robes. Breakfast was top notch. Loved the self-serve honesty bar. Staff hospitality was outstanding. Location & helpful staff. Breakfast excellent. 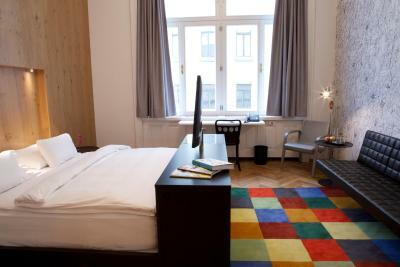 A hotel couldn't get more perfect than the Altstadt. It's unique, it's different, it's beautiful. Service is exceptional and there is not a detail that is not well thought out. After our time here I would not stay elsewhere in Vienna and we'll be checking out the whole Small Luxury Hotels of the World website in the future for ideas. Big room, upgraded to a suite for only E15 per night. Breakfast included very good. Bed very comfortable. The feather mattress cover and feather duvet is not for us. Even with the window open and below 0 outside, we were baked. We had to take our 'measures', like in many hotels. Great, great, great! For those who love an historical building with high ceilings, rooms over several floors, however you have no idea how many of these corridors with an entrance door and about 8 rooms behind it, there are! Great hospitality in the several adjacent salons during fantastic breakfast, free afternoon tea with sweets and in the evening, when you come home from dinner, and they put another log on the fire. Free bicycles, even on our check out day, no problem, could take them as long as we wanted. Our room, facing a patio, was very quiet, could sleep with windows open. The hotel presents as a 4* hotel (particularly considering the price...), but the bathroom would not be OK even in a hostel. It's a glass cube inside the room, right next to the bed, with no possibility of noise insulation. That would be OK for individual travellers, but not for double-rooms. If there was at leas communal bathroom in the corridor... I like the hotel very much, but I need at least some sort of privacy when using the bathroom. Nice staff, good food, suitable location, I love the hotel, but the bathroom is a deal-breaker.